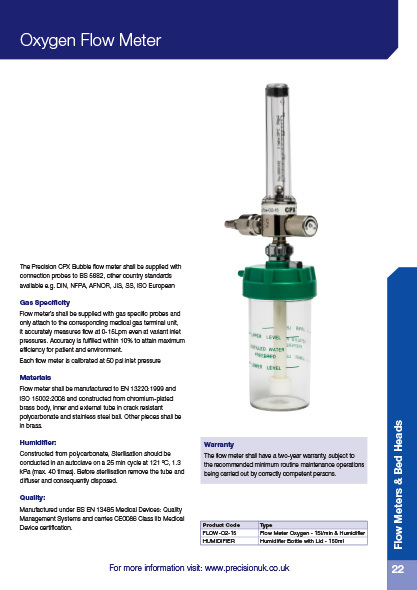 Flow meter’s shall be supplied with gas specific probes and only attach to the corresponding medical gas terminal unit, it accurately measures flow at 0-15Lpm even at variant inlet pressures. Accuracy is fulfilled within 10% to attain maximum efficiency for patient and environment. Flow meter shall be manufactured to EN 13220:1999 and ISO 15002:2008 and constructed from chromium-plated brass body, inner and external tube in crack resistant polycarbonate and stainless steel ball. Other pieces shall be in brass. Constructed from polycarbonate, Sterilisation should be conducted in an autoclave on a 25 min cycle at 121 ºC, 1.3 kPa (max. 40 times). Before sterilisation remove the tube and diffuser and consequently disposed. Manufactured under BS EN 13485 Medical Devices: Quality Management Systems and carries CE0086 Class IIb Medical Device certification. 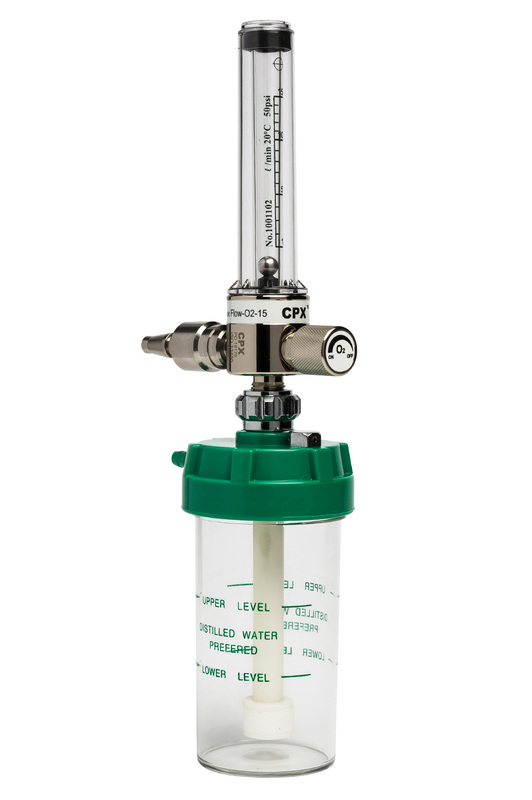 The flow meter shall have a two-year warranty, subject to the recommended minimum routine maintenance operations being carried out by correctly competent persons.